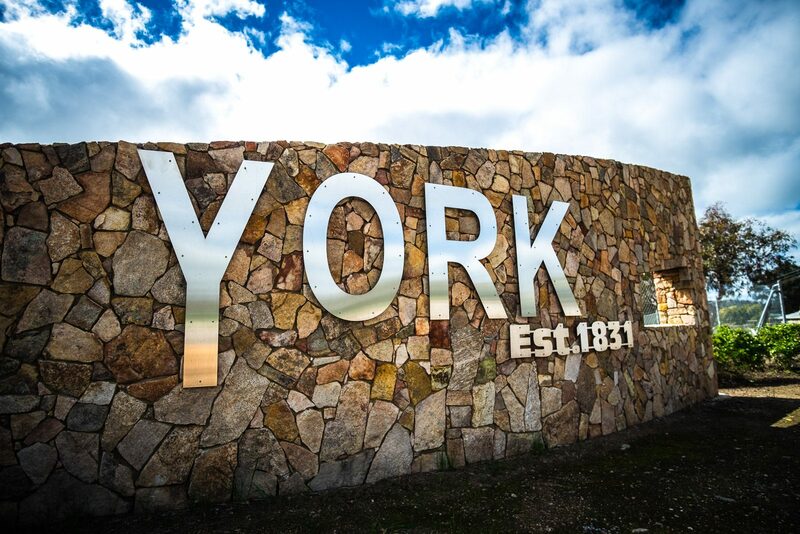 Located roughly an hour and a half east from Perth, York is a quaint town rich in history. 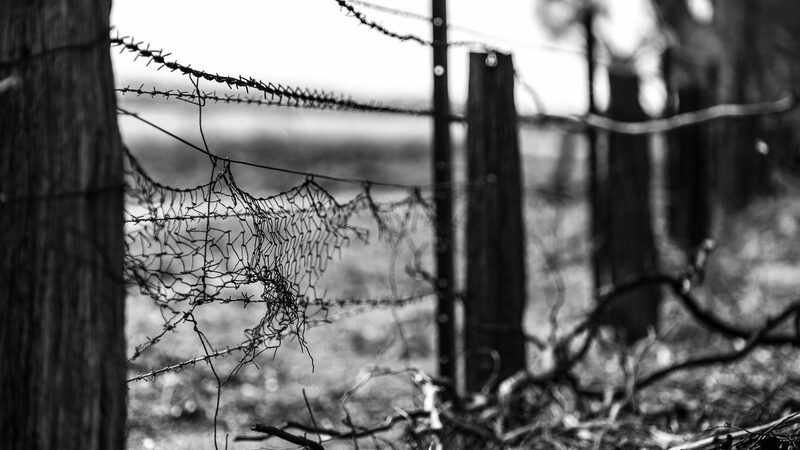 As you enter the town the sense of nostalgia for an era you never experienced, yet read about as a child, is felt. The majority of the buildings date back as early as the 1830’s. I wasn’t too sure what to expect from York, to be quite honest. 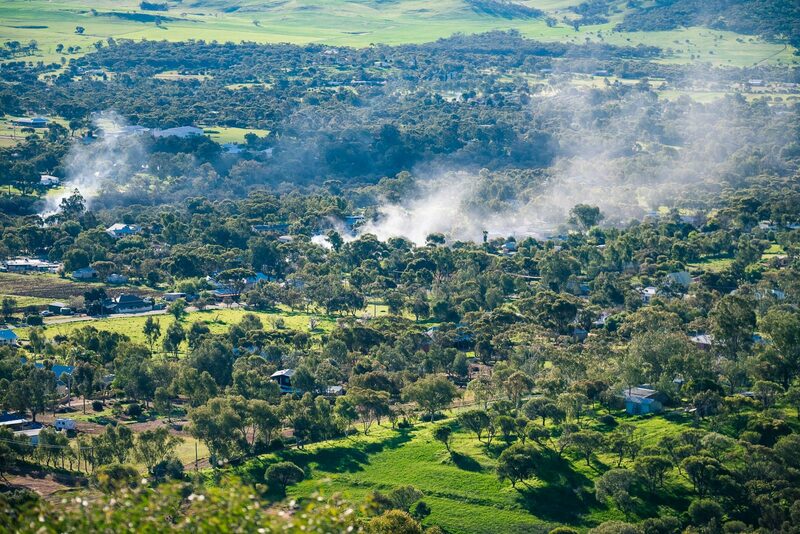 It’s been almost 10 years since I’ve been to Western Australia, and I’ve never been outside of greater Perth. To say the trails took me by surprise couldn’t hold more truth. I expected dry, barren and rocky trails with anti-grip dirt. 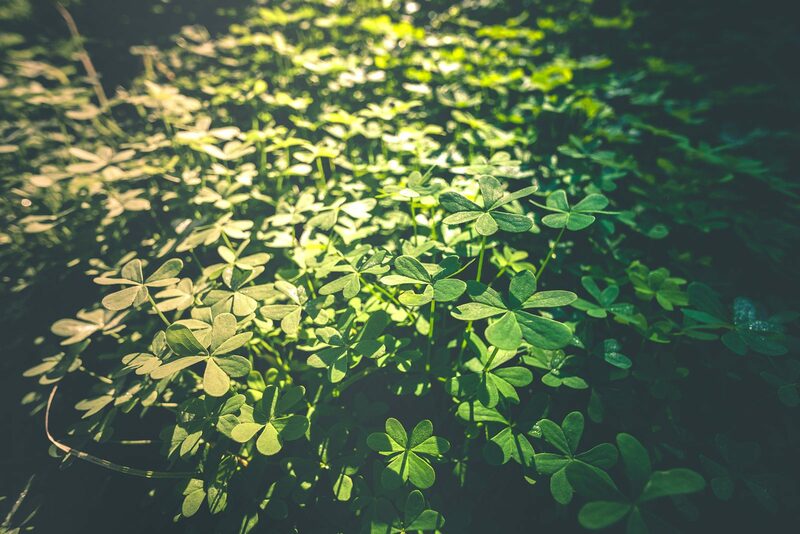 What I found instead were beautiful ribbons of tacky single track amongst vibrant greens and thin trees that let an abundance of natural light through. One of many fresh cut turns that adorned the hillside. This corner became increasingly difficult come Sunday afternoon! 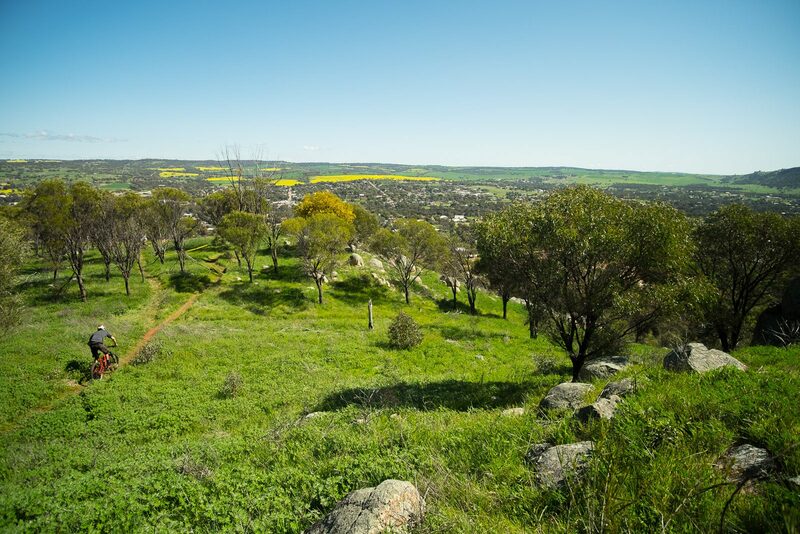 Whilst the mountain bike trails are relatively new, they only add to the value and allure of the Town. 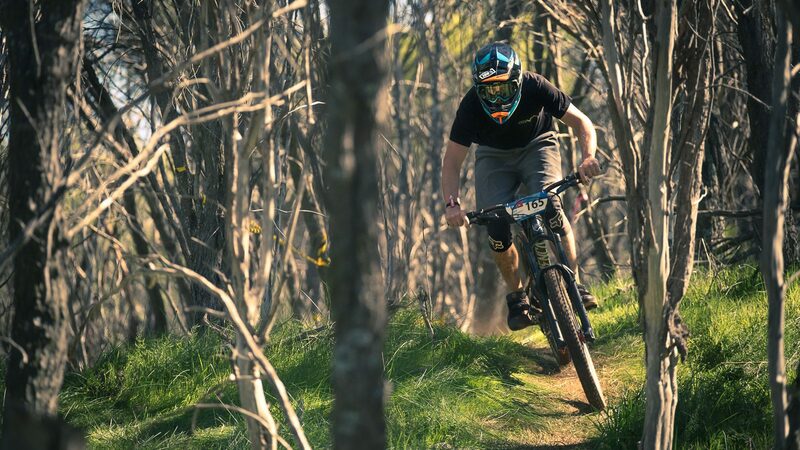 The club has done an exceptional job of cutting in fresh, raw, technical and challenging trails that are sure to please everyone from beginners right through to experienced riders and racers. Head west 1 hour and you’ll be ankle deep in pea gravel. In York however, there was loam on tap and plenty of it. 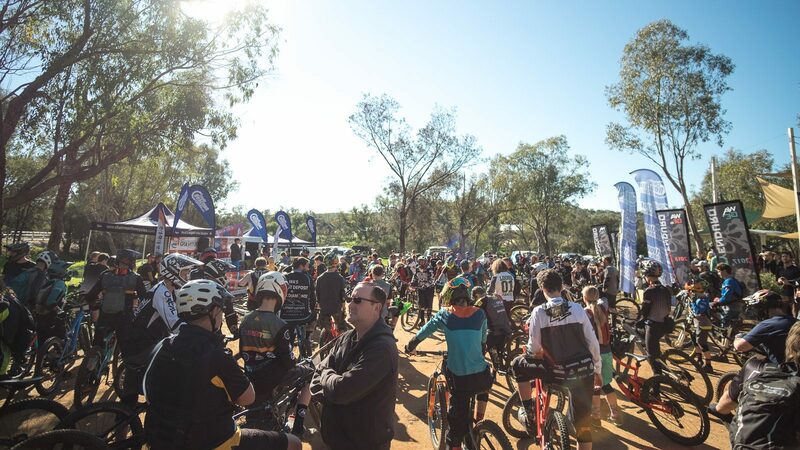 The weather throughout the entire weekend was friendly to riders and remained in the low 20’s with an expanse of cloudless and vibrant blue skies overhead. 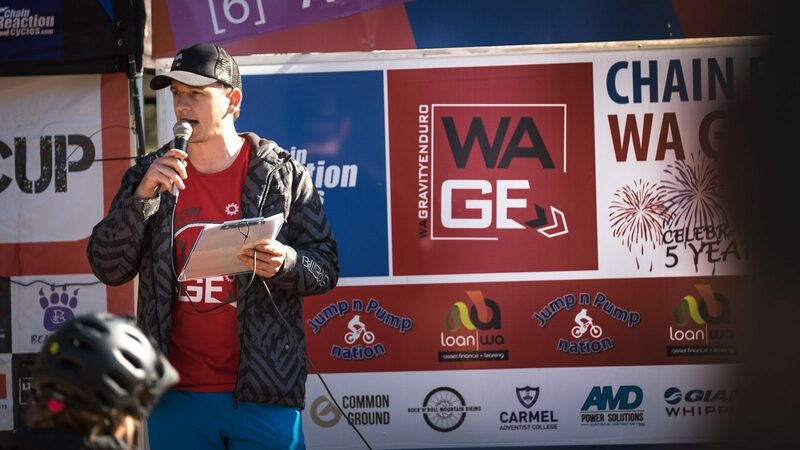 One thing that took me by surprise was that in WA riders don’t have to follow the recommended course structure. 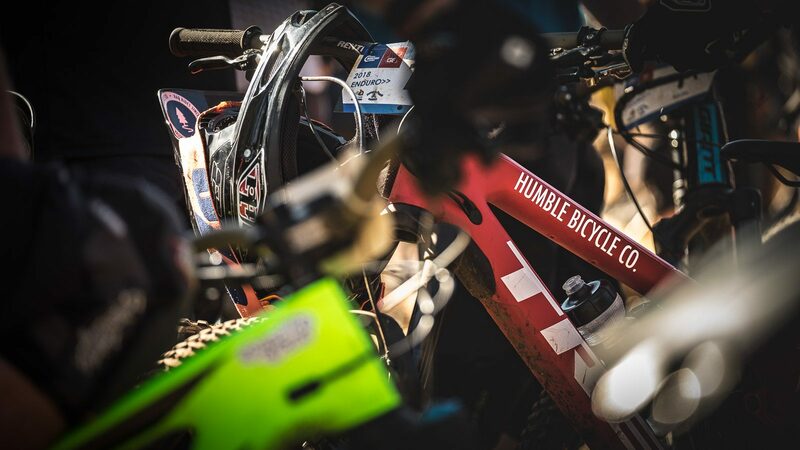 A nightmare for a photographer (apologies for those I missed out there) or family and friends coming to watch, but perhaps something that helped keep congestion on the trails low and vibes amongst the riders high. The empire cycles boys made good use of this, opting to ride the stages in trains one after the after, laughing, jumping and drifting their way down the trails! Solidarity, Camaraderie, Loyalty. 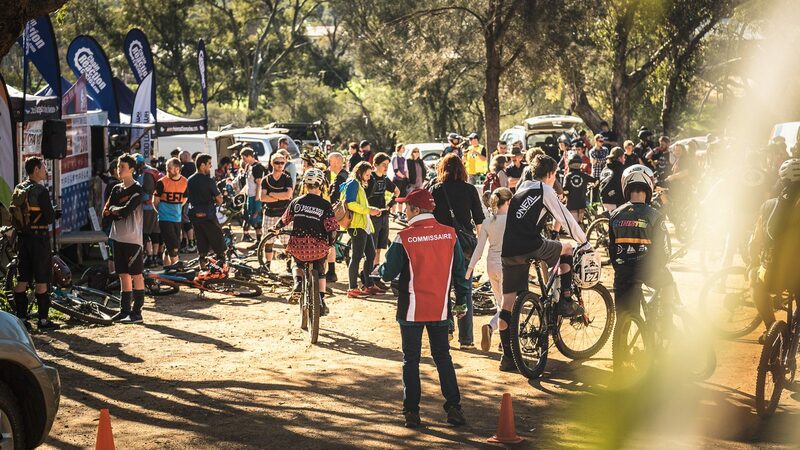 Call it what you will – I was pleasantly surprised by how tight knit the riding scene in Perth evidently was. Alongside many other ‘shop crews’ the Empire boys were out in force and having a blast. 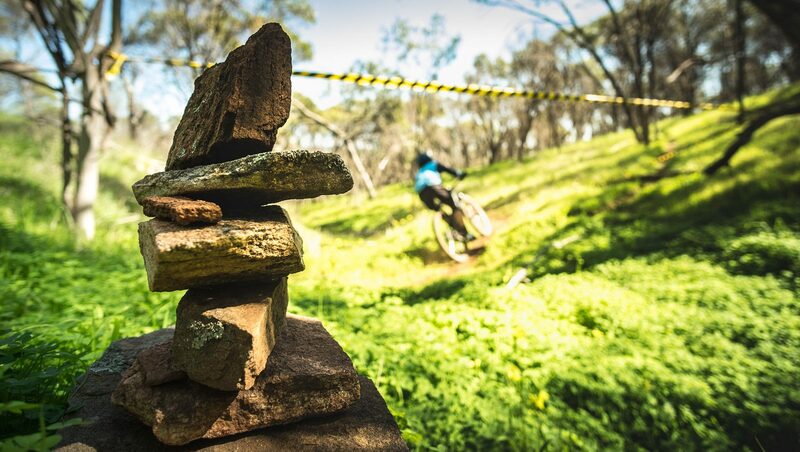 The true spirit of Mountain biking! 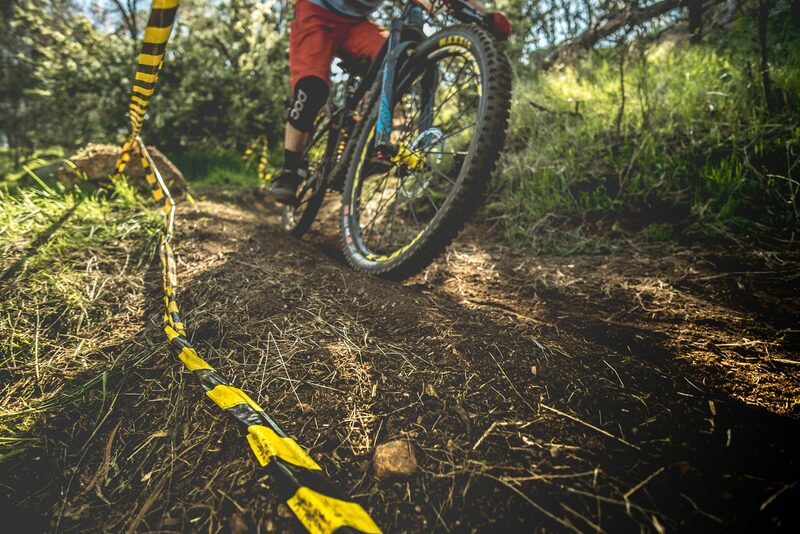 What happens on the trails stays on the trails. Friends first, competitors second. 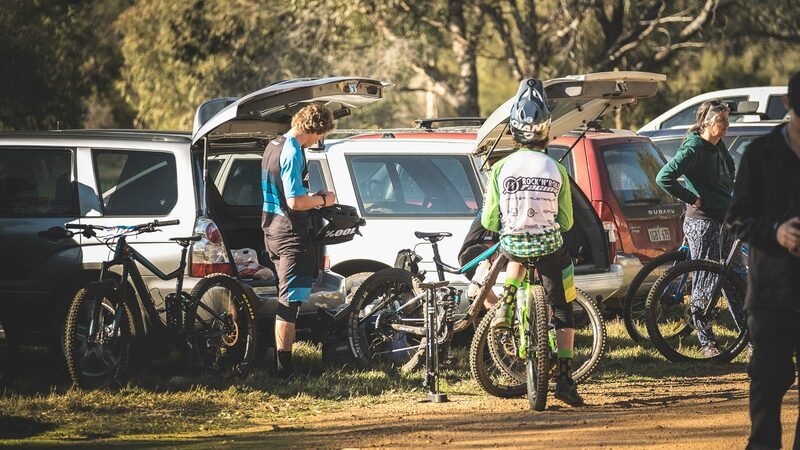 Pritchard and Prochyra sharing a laugh before riding out for the first stage of the day. 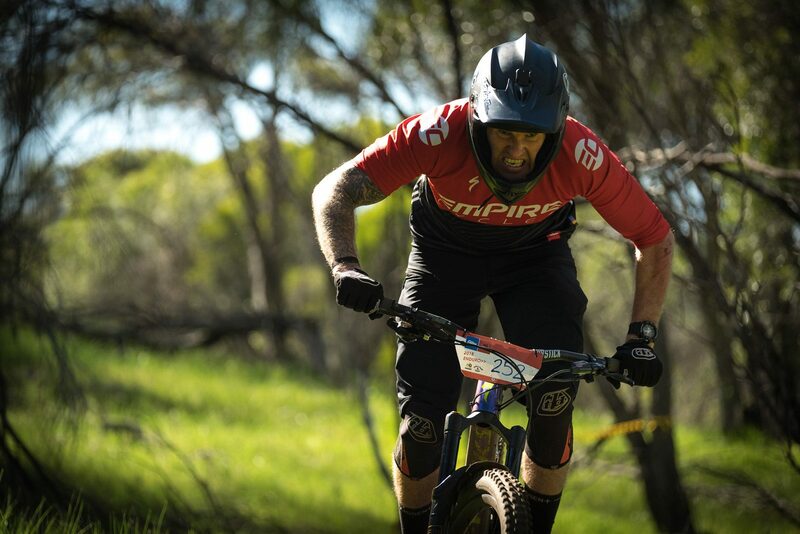 The usual suspects were out in order as the national cup round coincided with round 6 of the Western Australian Gravity Enduro series – however this time around the Westerner’s had a small but formidable influx of some talent from the East, determined to leave their mark. In the elite ladies class, Tanya Bailey has been untouchable out west to date. 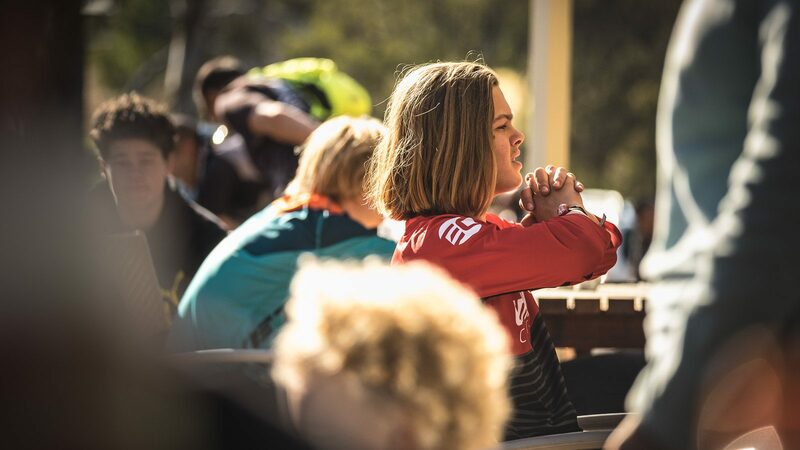 She is yet to drop a round win and there were no surprises she came out swinging, with Lily Grevett, Cathy Young and Heidi Strickland chasing hard. However, Jessica Hoskin and LIV’s Rachel Hore had rolled into town to bring the contest to Bailey. 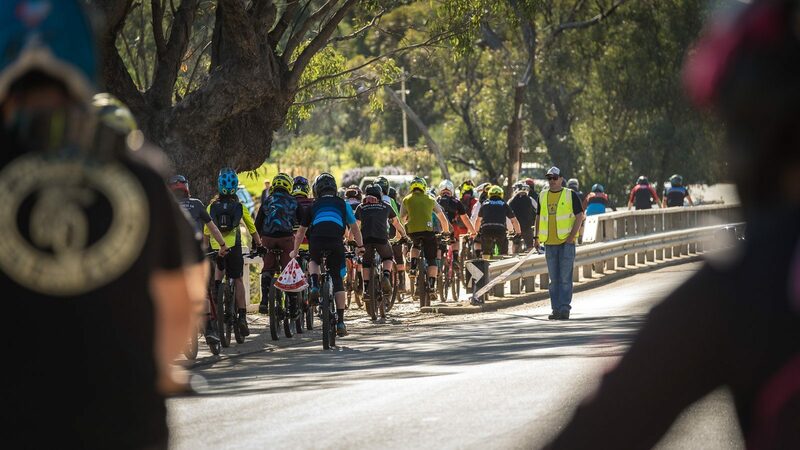 In practice many stopped to watch Hore, Hoskin and Bailey session the intimidating chute-to-gap on stage 6 with finesse and bike skills that rivaled some of the quickest and most talented riders out there. When the dust settled Hoskin had backed up her round 1 win in Toowoomba on her new Rocky Mountain thunderbolt BC with over 40 seconds on Bailey back in 2nd, ending her reign of WAGE wins. 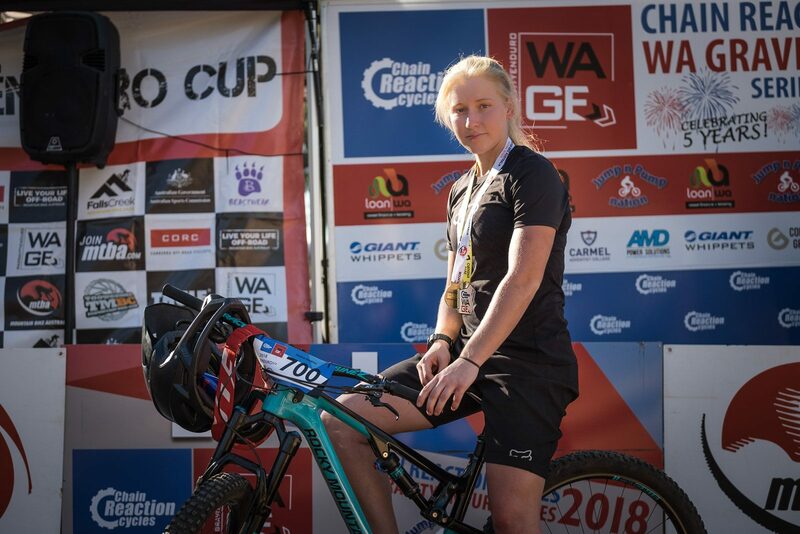 Hore experienced a couple pivotal mechanicals over the course of the day and these inconsistencies hurt, relegating her back and allowing Strickland to take the final place on the podium – keeping in mind Strickland was in no way off the back and proved this to the crowds with a very respectable 2nd on stage 5. 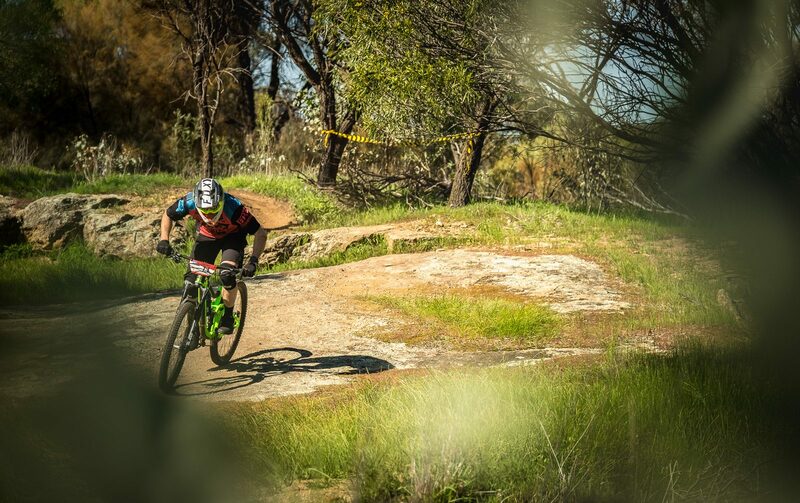 These placings carried across to the national enduro cup round results. Jess Hoskin was going to fast for our cameras on Raceday – the only time we managed to catch her was during the ceremony. 2 from 2 for the national series. 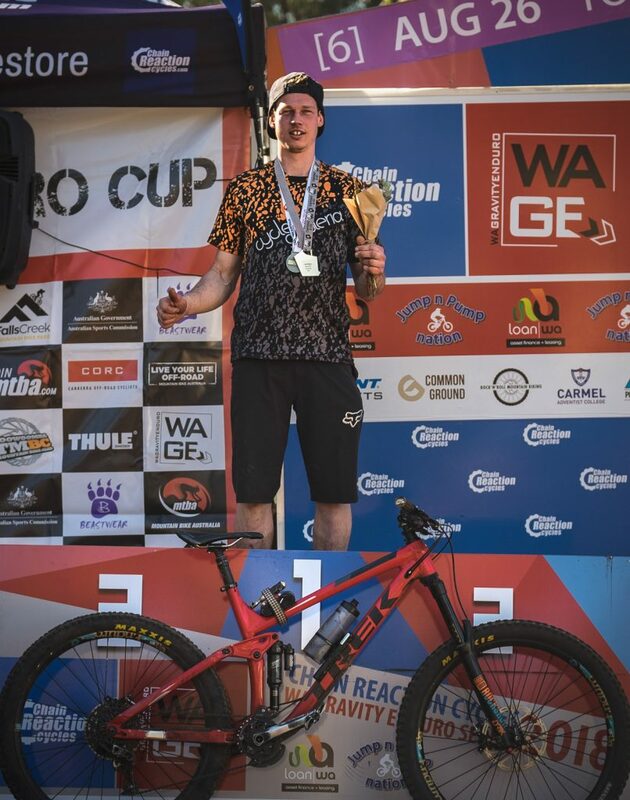 In the under 19’s Jayden Fraser stepped up to take win aboard his fresh 2019 Trek Fuel EX. Fraser was closely followed by Tate McBroom and Jesse Morgan. Jesse Morgan has been a regular sight up front this season and backed this up with a 3rd overall for the day, along with 2 stage wins. The Elite men’s WAGE race was full of upsets right from the get-go. 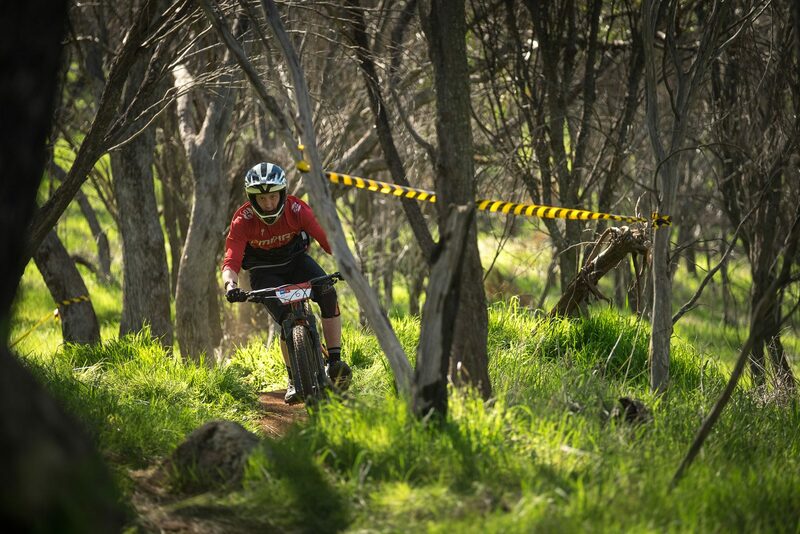 All the usual suspects were out in force and determined to keep the national cup enduro podium a western affair. A small band of riders from the East were in town to spoil the party, however. 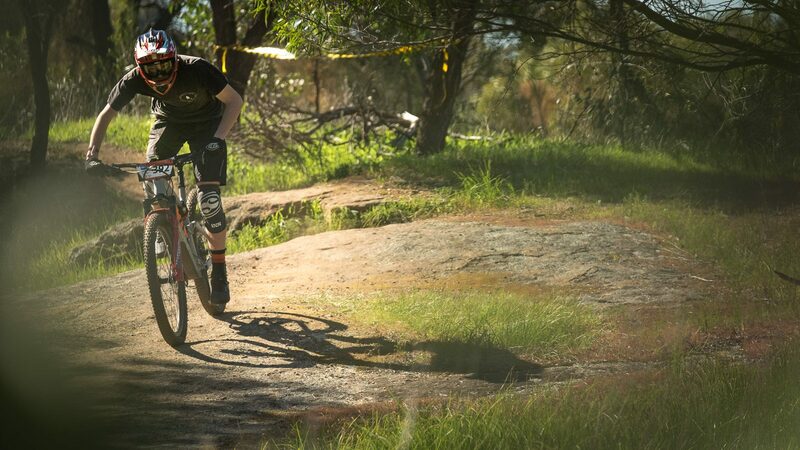 Stage 1 saw local Perth pinner, Roly Kyme of the empire cycles army, off to an unsurprisingly blisteringly fast pace taking the win ahead of the dark horse, Victorian Jordan Powell. 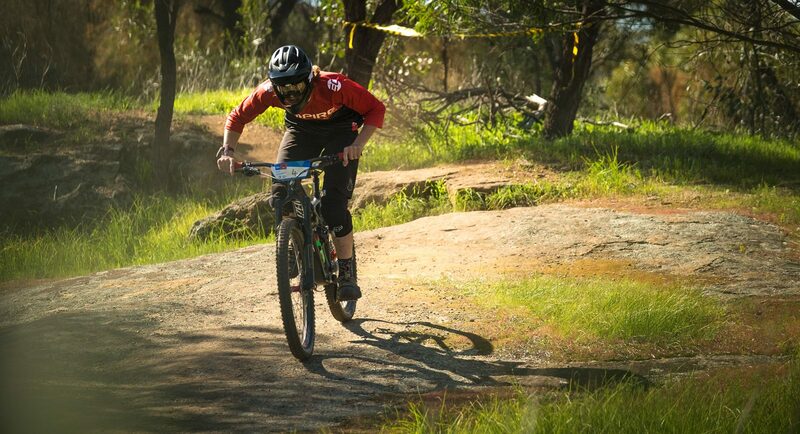 Murray Stephens of Bendigo cycles who looked prime for a podium went down extremely hard. 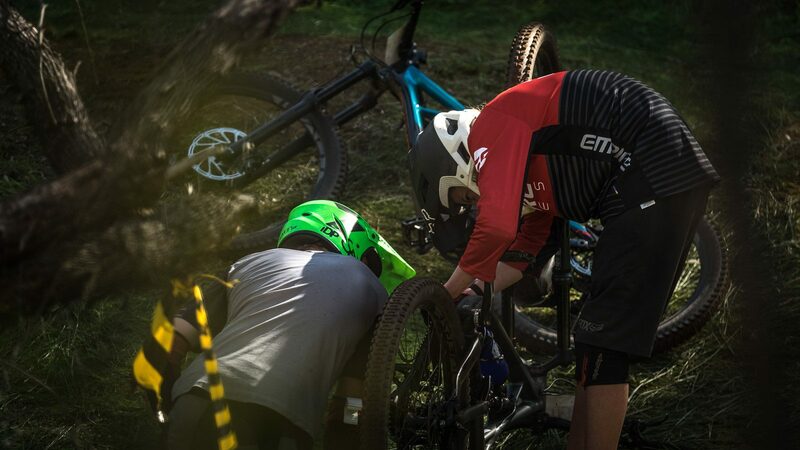 Word on the street is that Stephen’s front wheel exploded during a harsh compression, throwing him over the bars, shattering his helmet in the process. His injuries are yet to be confirmed, however the word on the street includes broken ribs and a concussion. 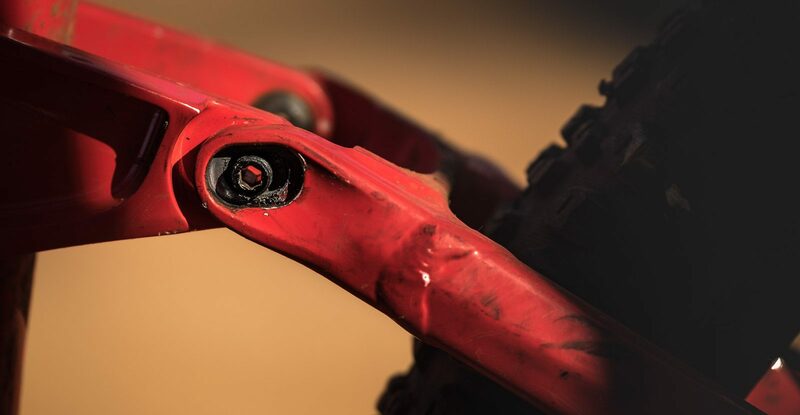 Not ideal considering he is set to compete at the final EWS round in the coming weeks. 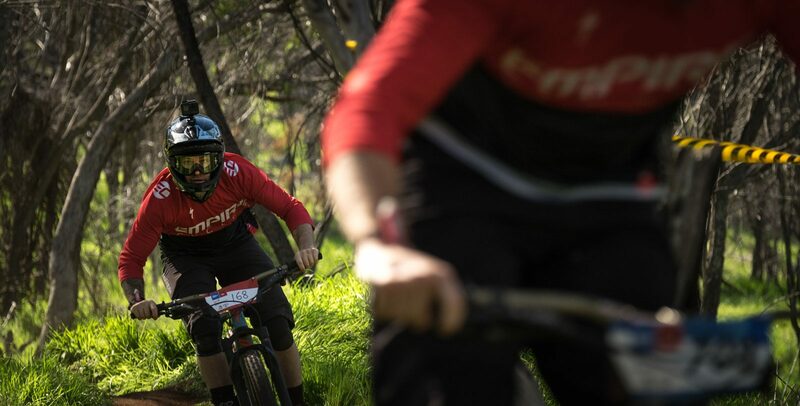 GT’s Travis Dawkins was yet another victim, having a big off after a fast start on stage 1, flatting In the process and rolling into 27th for the stage. Dawkins rolling down the remainder of stage 1 after a nasty fall. He went on to place in the top 10 every stage thereafter, including a stage win on stage 3. What could have been? Todd Madsen and Travis Dawkins then threw their hats into the ring, with Dawkins winning stage 3, closely followed by Madsen. Madsen then went onto win stage 4, and place 2nd on stage 6. Things were heating up quickly at this point, with the final result still wide open. 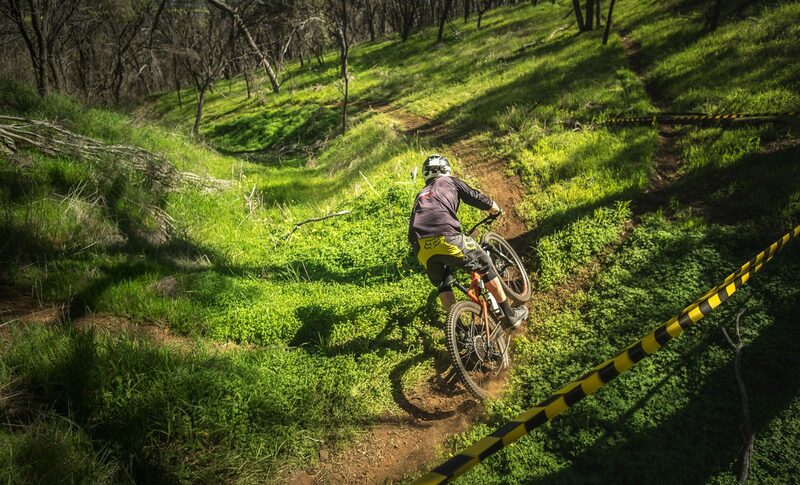 A lot of riders were caught out by this steep switchback on stage 1. 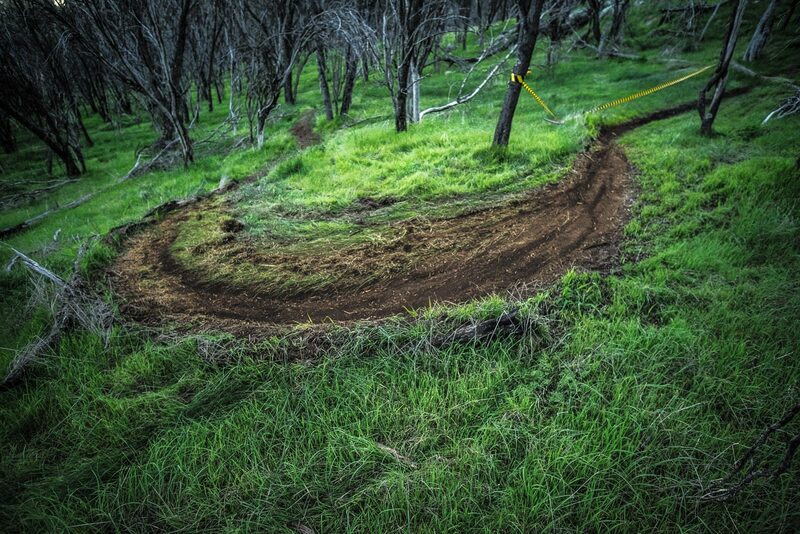 Take the safer outside line but risk losing the front end in the loose dirt, or opt for the tight inside over the log and let er’ buck? 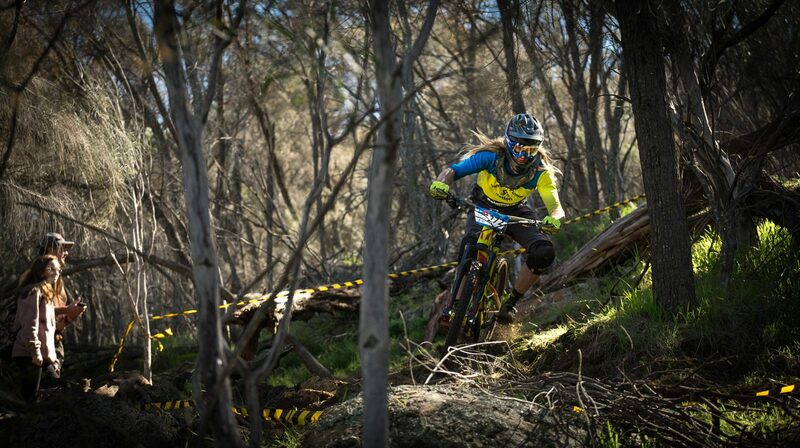 Belinda McEntee making a run for the finish on stage 5. 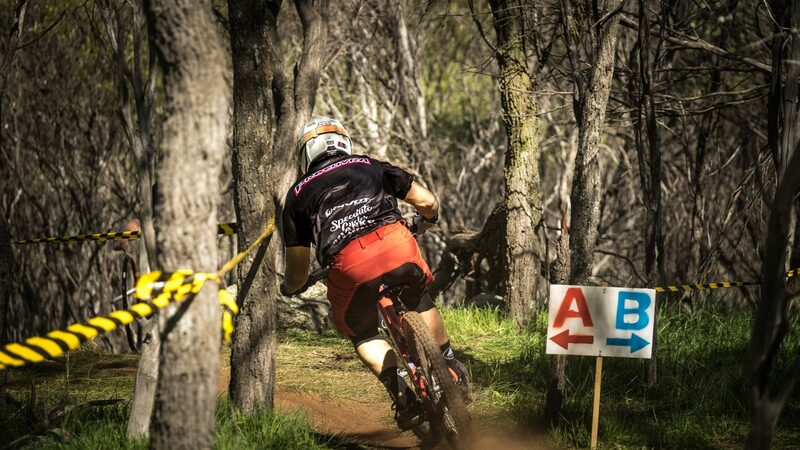 Belinda Won stage 1, then fought hard the rest of the day to land 2nd overall in 40-49 masters. It was great to see so many women out having a crack! Jordan Prochyra dropping into the first chute on stage 6. Jordan has spent a lot of time abroad racing and stage 6 was by the far the most challenging and technical stage. No surprises he took the win! 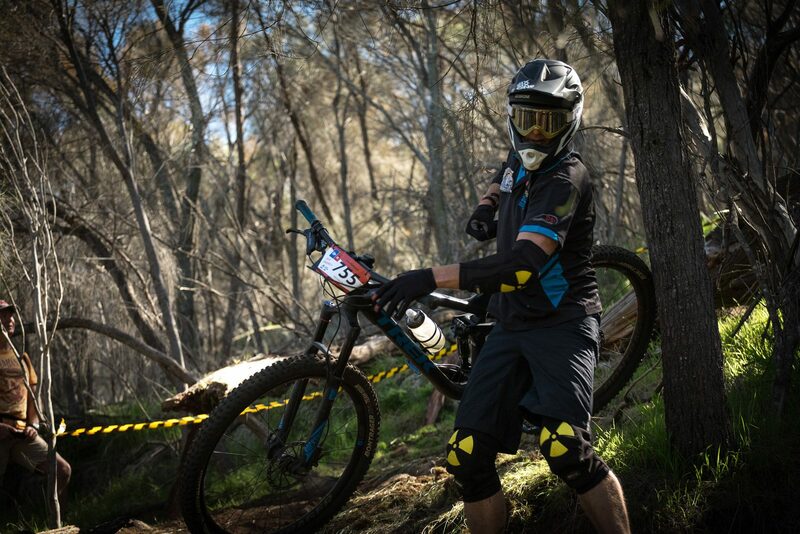 Sam Hill could do with some advice from this rider. Foot out, flat out, and all in a pair of Van’s old schools. The Men’s race went down to the wire, with only 5 seconds separating Kyme and Powell coming into the crucial 3-minute stage 7. Powell won the stage in 2:44, however Kyme rode home in 2nd with 2:46 – cementing his victory and the fastest time overall for the day. Roly Kyme pinned on stage 6th. He would eventually take 5th on this stage with a time of 1:08.69. Jordan Prochyra took the win in 1:07.67…. 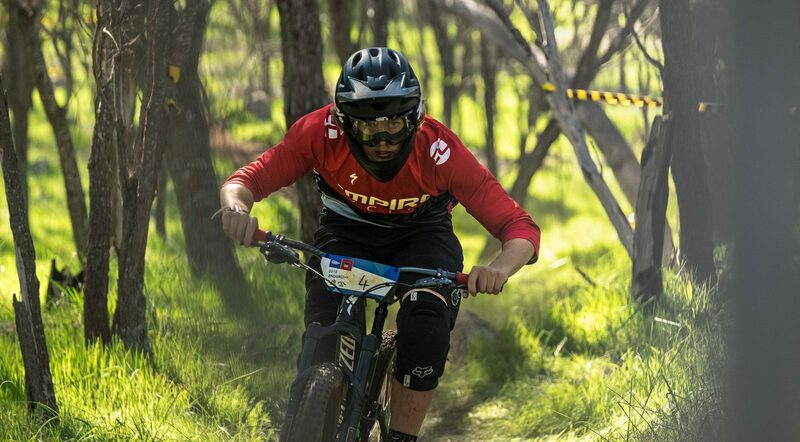 This win places Kyme not in only in the overall elite men’s lead for the WAGE series, but backs up his round 1 National Enduro cup win from Toowoomba, placing him in the overall lead for the Junior men’s title there also. The future is bright for young Roly and it’s only a matter of time until he can bring that pace to the MTBA elite classes. 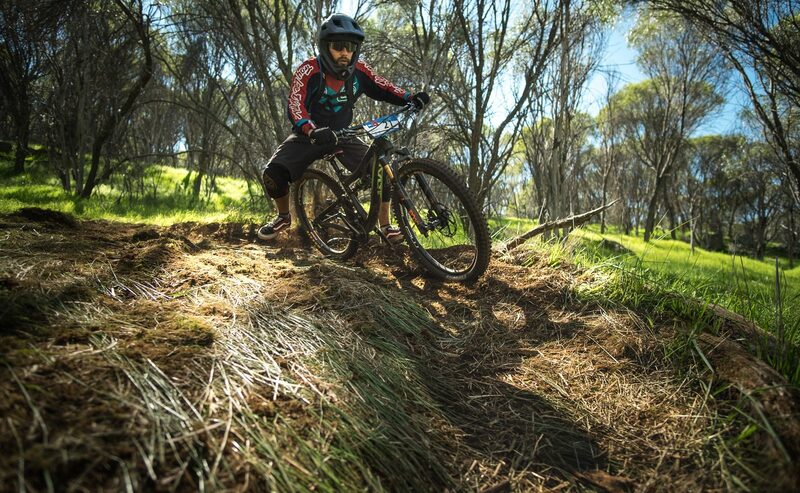 We caught up with Roly to ask him a few questions after his recent string of success. GDU: So, Roly, you’re having quite the season! Many won’t have heard your name before so let’s start with the basics. 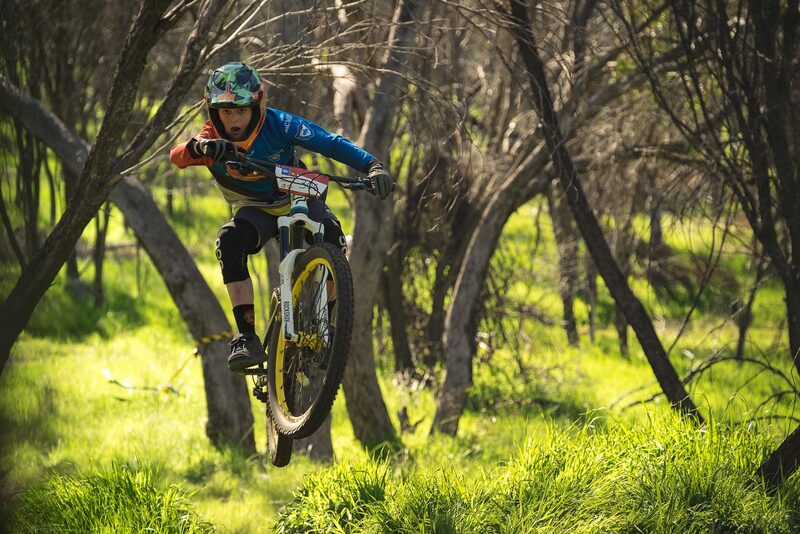 How old are you and how long have you been racing mountain bikes for? 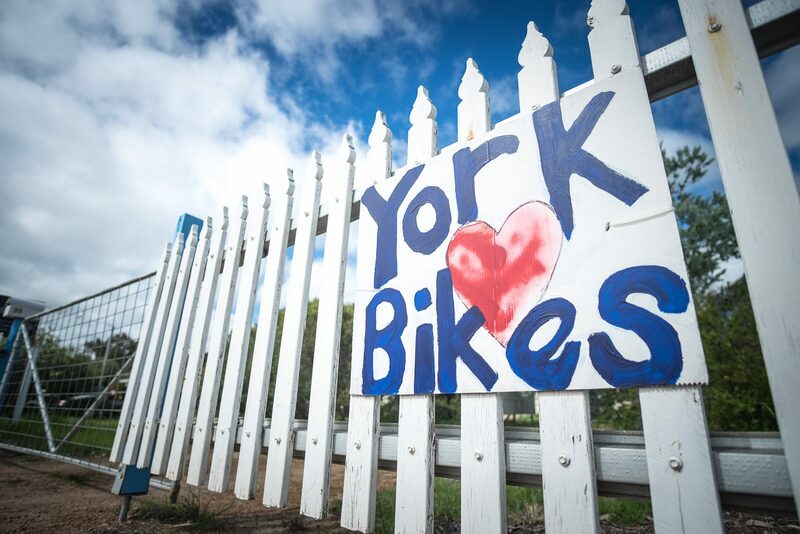 What started your passion for bikes? Roly: Thankyou! 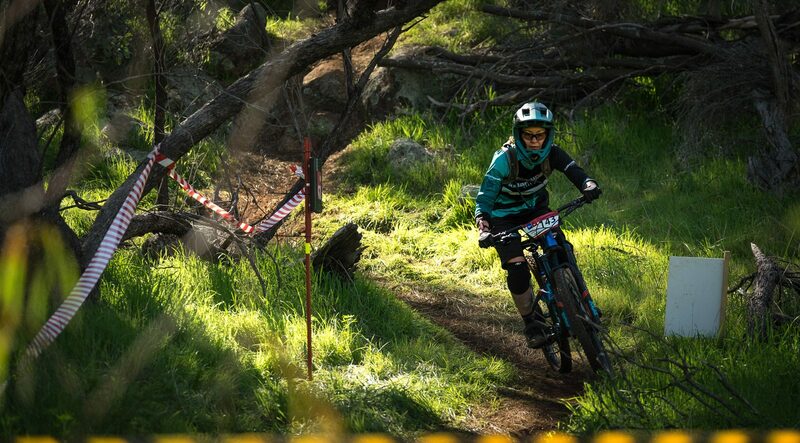 I’m 18 years old and I have been racing mountain bikes for 4 years now. 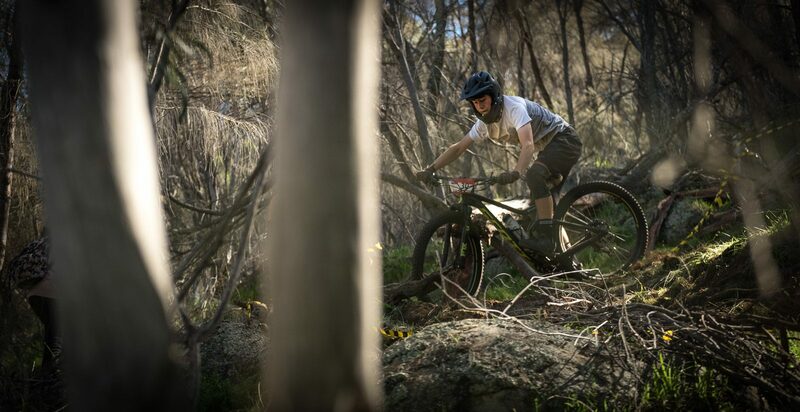 I started off racing Downhill but have now transitioned into the Enduro scene and have loved every minute of it. 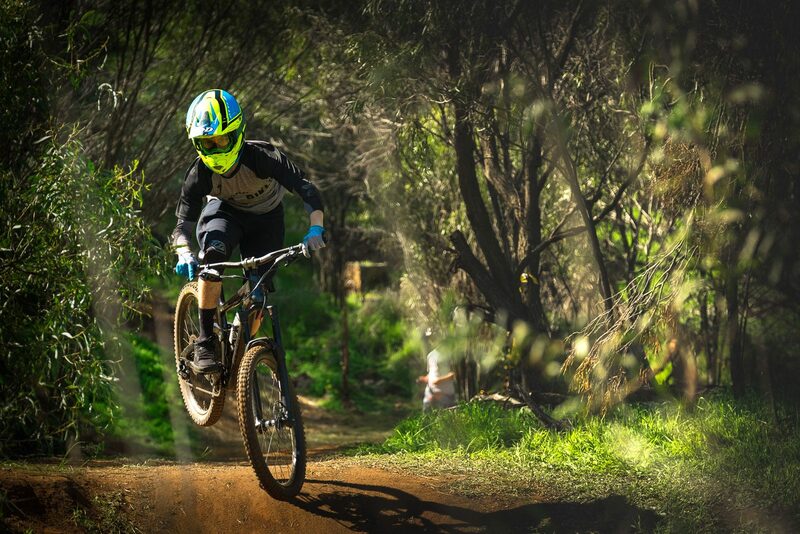 My passion for riding started off in primary school, My year 7 teacher was Peter Delfs who is the father of local DH legend Mitch Delfs so when the school started off a MTB program I thought i’d give it a go and became instantly hooked! 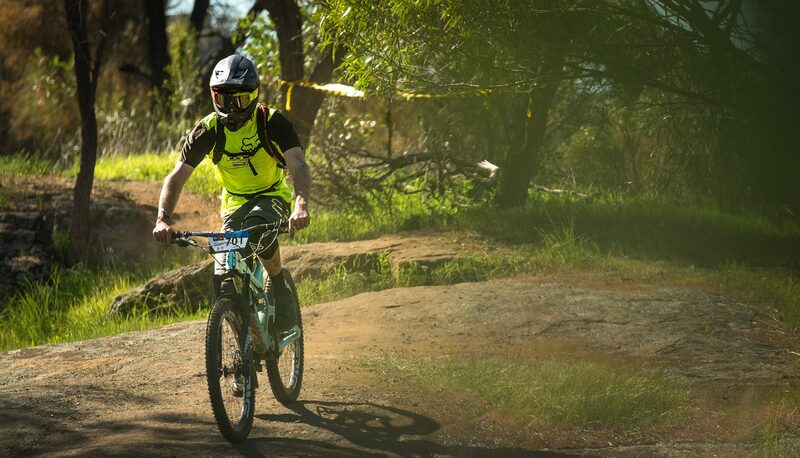 GDU: We’ve seen you on the specialized enduro at Toowoomba and now York – tell us about the bike. What wheel size are you running, and did you make any changes to your setup between venues? Are there any personal touches to the bike that make it distinctly a “Roly Kyme” bike? 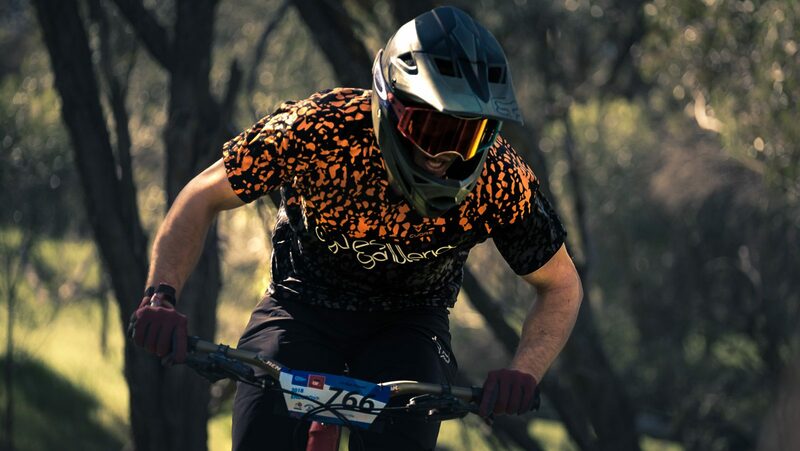 Roly: I’ve been riding a Specialized Enduro for a few seasons now and I’ve become so accustomed to it I couldn’t see myself riding anything else, the thing rips! This year I moved on from the 650b wheeled Enduro and onto the 29 and being roughly 6”2 it has been a really good fit for me and my riding style so overall I couldn’t be more happy with the bike. Anyone who knows me will point out I’m not too fussy when it comes to bike setup, I definitely go by the motto ‘set and forget’. The one thing I will change though is tires whether it be going to a lighter casing tire to keep the weight down or swapping to a different tread pattern altogether, just depends on the trails and the conditions. 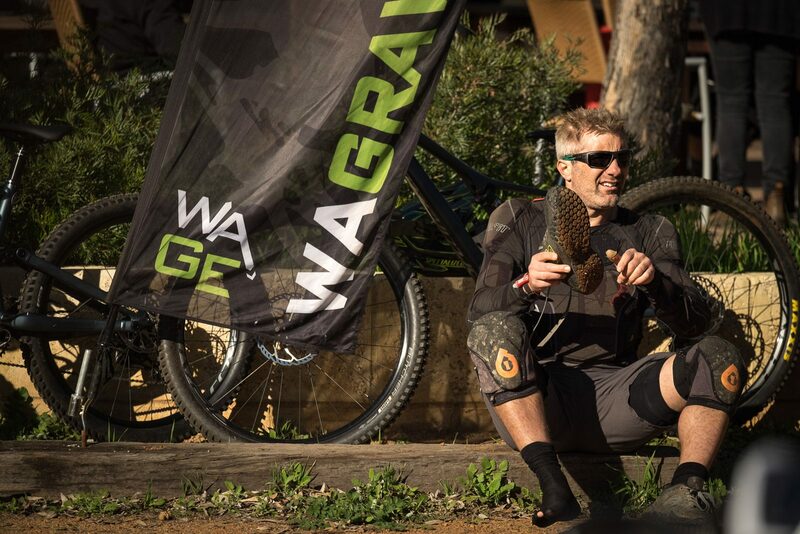 I guess the one specific personal touch that sets my bike apart from the majority of racers these days is that I am a flat pedal rider, its what I learnt on so ill stick with it haha! GDU: What’s the rest of your season looking like? Can we expect to see you at the rest of the national rounds? 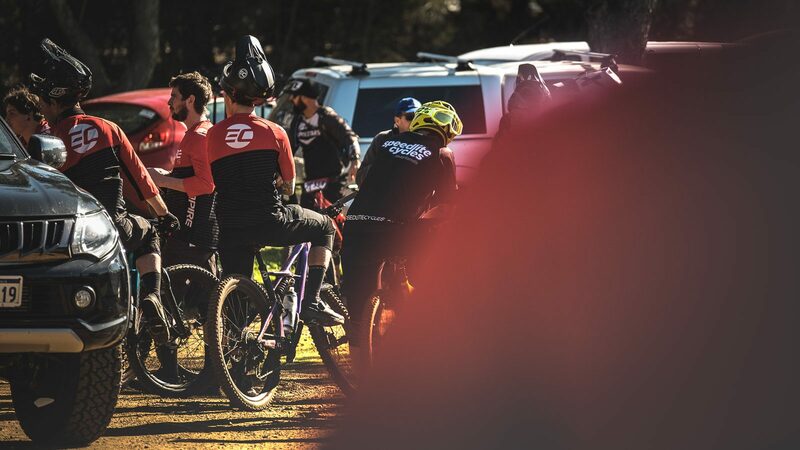 Any plans for the EMS series or the EWS next year? Roly: Quite busy by the sound of it!!! I’m really looking forward for the rest of the 2018 season, I’m planning on attending the remaining national rounds as well as national champs in Fox Creek later on in the year. 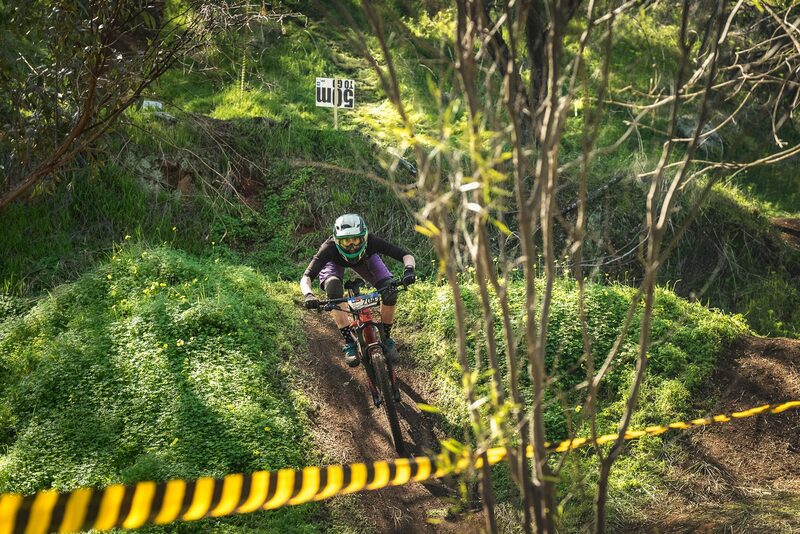 Other than that my goals for 2019 are to try qualify for the EWS and hopefully attend both the Rotorua and Derby rounds, the EMS series will be a good stepping stone in the lead up to that for sure! I can’t wait to build off a strong start to the season and see what I can do against Australia’s best! GDU: Thanks for taking the time to chat! Have you got anyone you’d like to thank? Roly: No problem at all, thanks for featuring me! 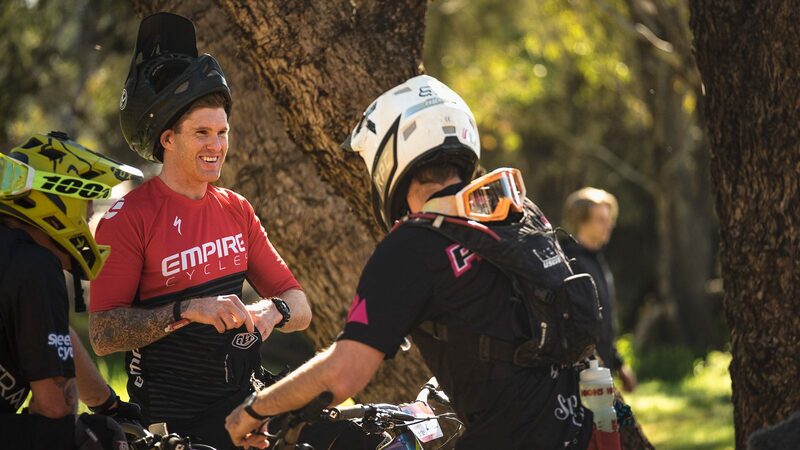 I’d just like to thank everyone who has played a part in helping me out along the way, especially Dave Long, Dan O’Kane and all the rest of the Empire Cycles/specialized crew, thanks for always believing in me and always making sure I’m in the best situation to achieve my goals, cheers lads! 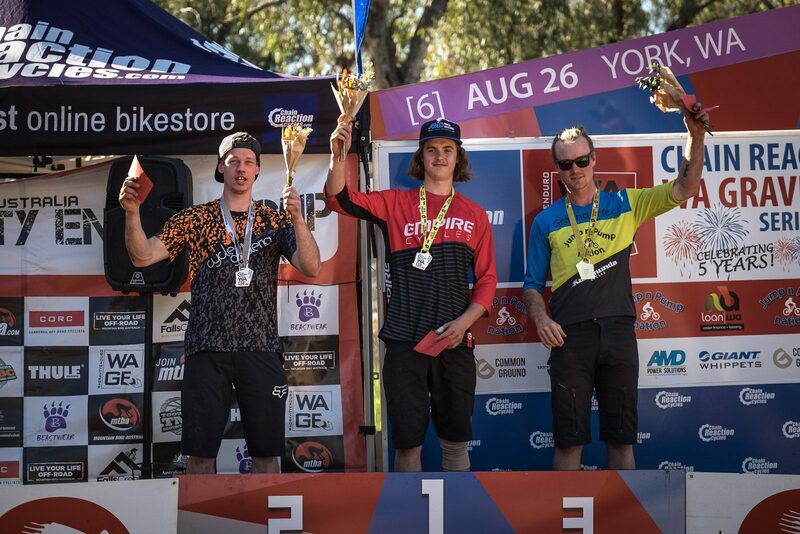 Men’s WAGE podium. (L-R) Powell, Kyme, Madsen. 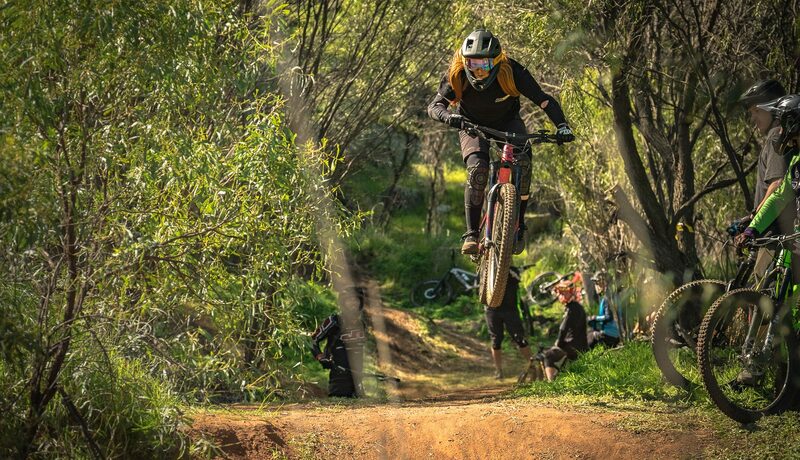 As Kyme is currently too young to compete in Elite at MTBA events, this elevated Jordan Powell to be the National series elite men’s leader just ahead of Todd Madsen. Powell has been a force in Victoria for the last 18 months or so, however luck hasn’t been on his side. 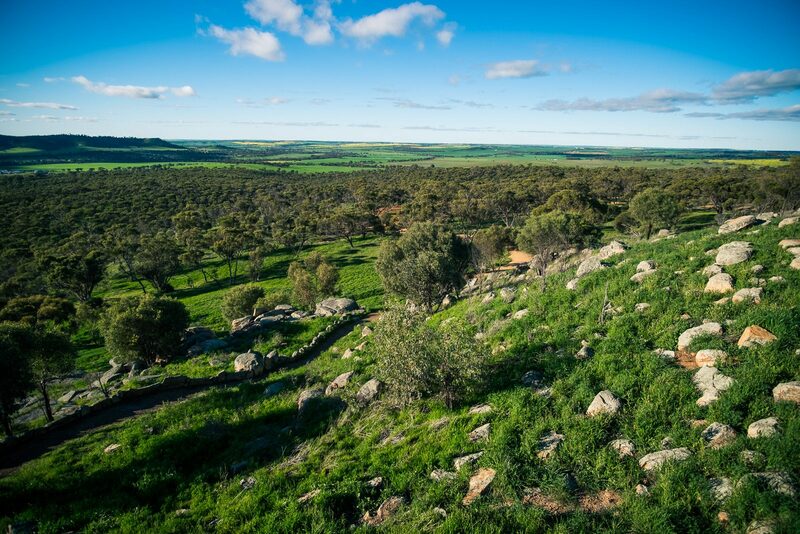 Consider this a break out result – not a bad day out with 3 stage wins and a crash on stage 3. I have a feeling we will be seeing a lot more of Powell in the future. 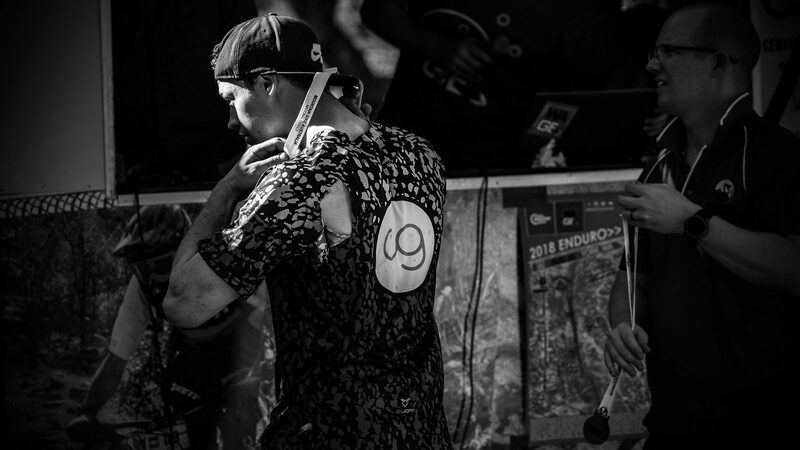 Powell left it all on the trails today – literally – a part of his jersey is still somewhere on stage 3…. … Along with a minolink/linkage bolt?! 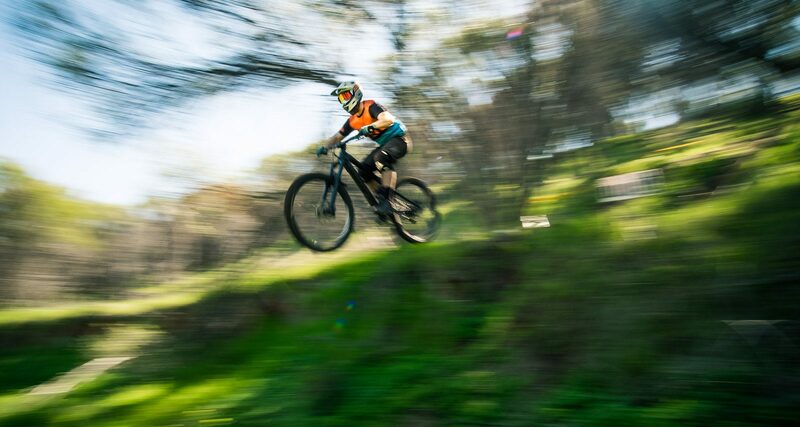 Ladies and Gentleman, your newest national gravity cup round winner – Jordan Powell of Cycles Galleria. 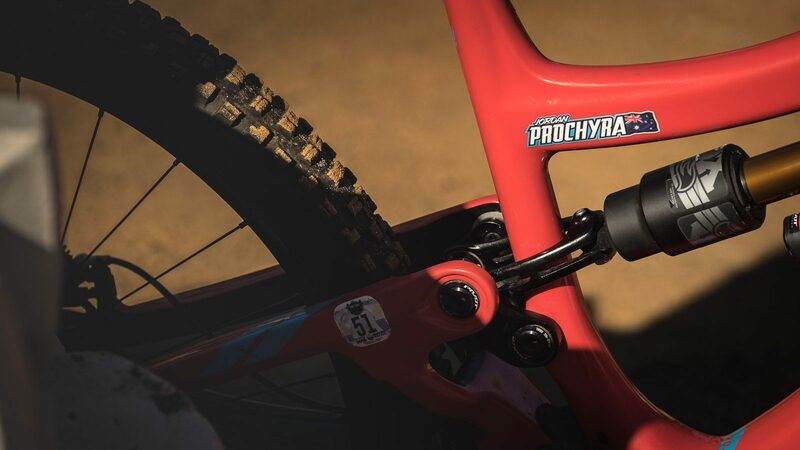 Jordan opted to ride the 150mm, 27.5 Trek Remedy.